Karma? Upvotes? 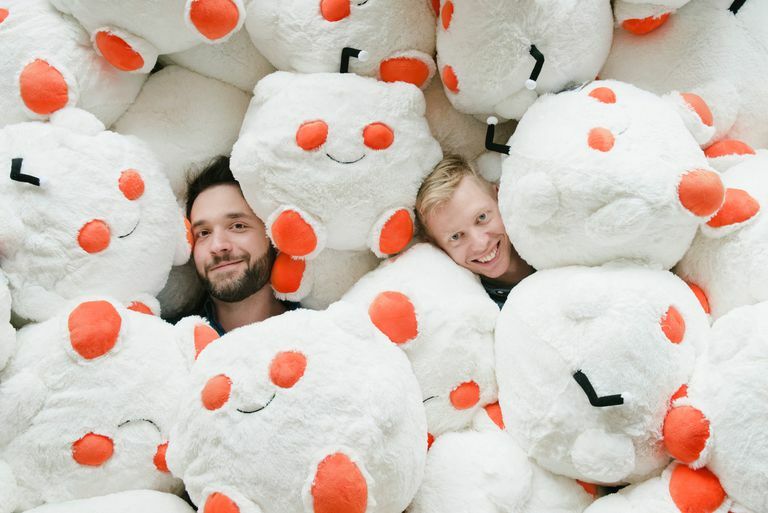 Here's everything you need to know to get started on Reddit. Reddit is a website where people gather links and share them with each other. Those links can be pictures, articles, videos (really anything) and share them inside smaller topic-specific communities called subreddits. What Can You Do on Reddit? If you spend enough time on the Internet, eventually you’re going to stumble across Reddit. Billing itself as 'the front page of the internet,' users (or Redditors) can share links, vote on links, comment on links, and subsequently comment and vote on comments. For newcomers, this may all seem a bit overwhelming, so here’s a brief rundown on how to use Reddit effectively. Sign Up for Reddit — Don’t Lurk! Once you sign up for a free account, you can subscribe to various subreddits, upvote or downvote content you like or dislike, and comment on things you’re interested in. For example, if you’re a history buff, you can read and enjoy all the content on /r/History or /r/AskHistorians, but once you have an account, you can ask your own questions or (if you’re a history expert) answer some yourself. Although it’s designed to be as simple as possible, Reddit’s interface can definitely be confusing for newcomers. The sheer number of actions you can perform on page are intended to improve user experience, but they also make for an initially steep learning curve. One of the best ways to improve and simplify this experience is with the free browser add-on, Reddit Enhancement Suite (RES). The add-on is compatible with just about every browser and adds functionality that allows you to view images without clicking a link and scroll without clicking to a new page, along with adding a variety of tools that improve commenting. Most redditors would argue that RES is absolutely required for getting the most out of Reddit, as it addresses many of the most common complaints about the site, like requiring you to navigate to another page to view linked images. What the Heck is Karma? Reddit karma is meaningless, yet to some it means everything. Every time someone upvotes a post or comment, the poster or commenter receives one karma point. Similarly, when someone downvotes a post, the poster loses karma (this is capped at 100 downvotes). Karma is divided into post and comment karma, and users can only vote on a single post or comment once. Posts and comments that receive the most upvotes rise to the top (though they can also be sorted by new and controversial) and those with low or negative karma go to the bottom of the page. This karma is awarded to users and remains on their profile as a sort of credential to how prolific or tenured a redditor they are. Despite karma being the entire basis of Reddit’s algorithm, collecting karma ultimately gets users nothing. There are a few subreddits available only to people with excessive amounts of karma, but these grant no real special privilege or functionality. Further, users (or superusers) with a lot of karma don’t have any special voting, posting, or commenting abilities. Overall, people collect karma simply to collect karma. Should I use a fake name? Probably. Any user can view any other user’s entire comment and post history (unless it’s in private subreddits), which means every Reddit user leaves a huge digital paper trail. There is absolutely no reason to have a Reddit account associated with your name unless you are a brand or public figure. Can I search Reddit for stuff? Yes and no. Reddit is a great place to view stuff but not the best place to hunt for it. Reddit’s notoriously bad search function returns limited results, so you’re generally better off using a Google search + “Reddit” if you want to find a specific post on the site. That said, if you’re looking for a certain community, the site’s subreddit search usually does a decent job. How can I post images on Reddit? Although its primary use is sharing images, Reddit is not an image-hosting site — it’s a link-sharing site. If you want to post images on Reddit, your best bet it to first upload them to Imgur (a favorite among redditors) and then post the Imgur link on Reddit. Imgur does not require a login or any sort of sign-up to upload images. Get Out There and Reddit! Reddit can be intimidating for new users, but it doesn’t have to be. Start by finding a few subreddits you’re interested in, subscribe, and lurk for a few weeks. Before you know it, you’ll be familiar and welcome in the community and will soon find that just about everything you see online in some way or another starts on Reddit.